Teaching Authors--6 Children's Authors Who Also Teach Writing: A Must-have Book (PLUS Book Giveaway) for Storytellers! Thanks for sharing this book, Esther! It looks amazing and I definitely need to add a copy to my writer's bookshelf! Wish I could enter to win this myself. Guess I'll have to go buy my own copy! I want to read more! I would love to win a copy. Thanks for sharing this one, Esther! I saw Matt speak recently at an SCBWI event, he is a wonderful speaker too! This sounds like exactly what I need to study to take my writing to the next level. Thanks for the giveaway! I'm very excited to read this book and take my writing to a new level! I'm sure I'll pick up many useful tidbits to share with my students too. Thanks for the great review! What a grand book to spotlight, Esther. Can't wait to read it! Thank you! Thanks for telling us about this book. I need to read this to improve and strengthen my own writing. This sounds like a book I'd reference many times. This sounds like a must-have—thanks for sharing it with us, Esther! This sounds like a great assembly of good writing principles. A must get book. 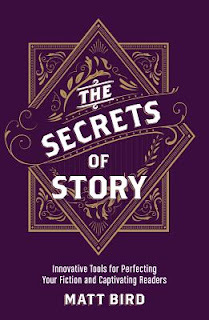 Hurray and Hurrah for all our Readers who took the time to post and thus enter our Book Giveaway for Matt Bird's oh,so smart THE SECRETS OF STORY! Truthfully? Anyone READING and USING this book is a Winner. Thanks for giving me so much information on this book. It sounds like a must have. Thanks for the chance to win a copy. Very generous of you. I would appreciate the chance to read this book, esp. as it will surely be hard to get in Eastern Europe. I sounds like exactly what I was looking for. :) With best regards. This sounds like an invaluable tool, I'd love to have a copy. Thanks for the chance to win it. This idea of writing every day, bird by bird, gets stronger every time I hear it. 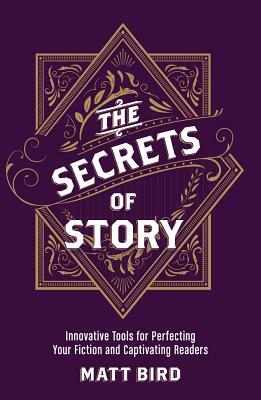 I think I need this book to lead me to the very nature of story and how I can be a better storyteller. Thanks for offering the give away. I'm always looking for new ideas to support me and my writing. Thanks for the book suggestion! I just bought the Kindle version! Thanks for bringing this great book to our attention, Esther. I look forward to attending your upcoming class and gleaning from your insights. See you then! Oh, I so want to read this book! Thanks for the chance to win a copy! Thanks to all who continue to enter our Book Giveaway for this terrific book on craft! Sounds like a great book, chock full of info, thanks for sharing it with us Esther! Thanks for the post! Always looking for great books on the craft of writing! This sounds like a terrific book. I can't wait to read it. Great post! Thank you for the opportunity. I'm addicted to writing craft books. I've heard great buzz about this one. Can't wait to read it! I have fallen in love with books on craft, style and substance. Perhaps the educator in me finds it most valuable. This book would be a nice addition to collection.